Before the urbanisation of the planet by man, the earth’s soil acted as a huge sponge. When downpours occurred, the sponge rapidly filed up with water, but then released it slowly into burns, rivers and streams. The worst effects of torrential rainstorms were therefore reduced. With urbanisation, we have been tarmacking and concreting over ever-increasing areas of land. The beneficial sponge effect is being eroded and as a result, flash flooding is on the increase. While in some respects, this problem is mainly the responsibility of town planners, householders can also play their part. The main area of contention is in-town car parking congestion and the desire for house owners to have their own drive ways (Figure 1). The traditional front garden, with a front lawn is being dug up and replaced by an asphalt or cement block hardstanding. For an occasional house this is not a big issue, but as more and more home owners do this, the sponge effect is being depleted and flash flooding made more likely. In larger redevelopments the planning department may require temporary water storage to be installed. In smaller developments non-porous drive ways seem to be accepted. From an aesthetic point of view, it seems a pity for front gardens to be tarred or lock-blocked over. There is enough concrete and tar in cities as it is without making more. 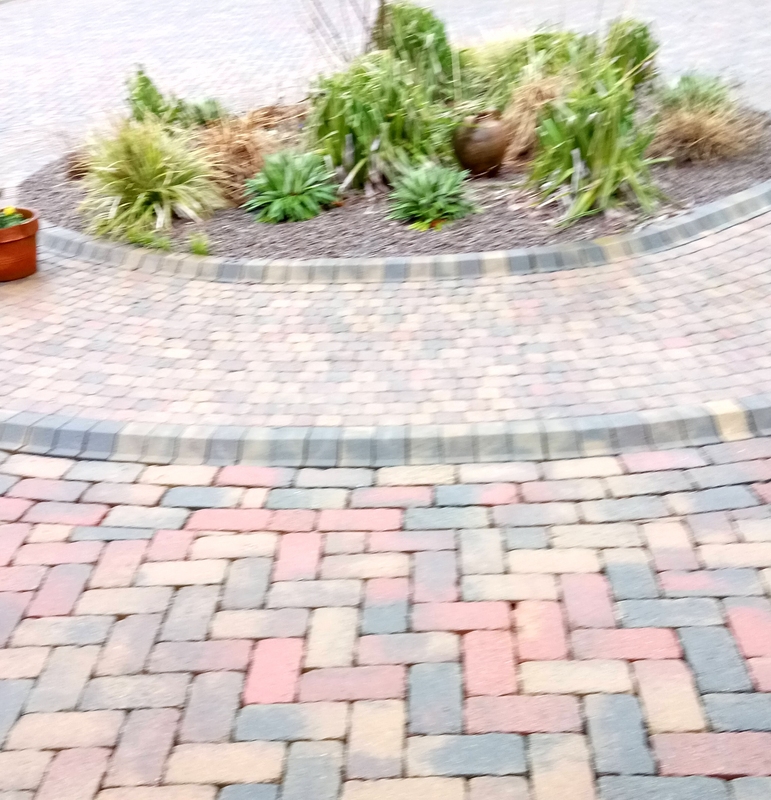 On a personal note, I would be most reluctant to buy a house with a tarred drive rather than a garden, so there may be a future cost implication to such action. The gain from creating one’s own driveway always seems small. To allow access to the driveway 1.5 parking spaces at the pavement are removed to allow two cars to park in the driveway. The only benefit is that you have sole right to park in your driveway. The council would do well to recognise this and have parking schemes which give some assurance that home owners can be assured that parking spaces are available. 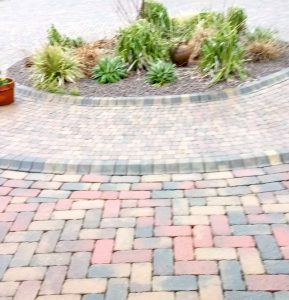 If householders must create driveways, then they should choose a porous material to allow water to soak through the hard standing. The system in Figure 2 shows how attractive such porous materials can be.